Marvel fans seem to be very happy, generally speaking, with the fact that Spider-Man is back at home with his other pals in the Marvel Cinematic Universe. Sony struck a deal last year which allowed that to happen, but they do still has the rights to the property. That means they can make other movies in the Spider-Man universe, and that is exactly what they intend to do. We have heard whispers and rumors of Sony still toying with Spider-Man spinoff movies for quite some time now. However, it seems like in the near future we will get some concrete details on just exactly what Sony has in mind. In a recent interview with Collider Sony Pictures chairman Tom Rothman said that we can expect "real news as opposed to speculative news before too long." He didn't elaborate at all, but that statement does confirm that Sony is still going to do some sort of Spider-Man spinoff movie or movies. Earlier this year, reports started circulating that Sony as moving ahead with a Venom movie, which could be included in that "real news" that Tom Rothman was talking about. The Venom is expected not only to stand on its own, but also launch a separate franchise and won't be connected to the MCU. The project has seen a number of filmmakers come and go, as it was being developed before the deal with Marvel Studios went through. Gary Ross and Josh Trank were set to direct at one point. Writing teams such as Rhett Reese & Paul Wernick of Deadpool fame as well as Alex Kurtzman & Roberto Orci were attached to write the script at various points in the development process. Venom probably isn't the only movie Sony is looking at developing in terms of Spider-Man spinoff movies are concerned. A few months ago reports surfaced that suggested a Silver Sable movie was also being developed. Not only that, but there is still the possibility that Sony could move ahead with the Sinister Six movie that they were planning before making the deal with Marvel Studios. That one seems less likely though, as Marvel would maybe want to build to a Sinister Six thing in their Spider-Man franchise, which will kick off with Spider-Man: Homecoming next year. This whole thing has the potential to be very confusing. Some people were already confused as to why Tom Holland was playing Spidey in Captain America: Civil War and not Andrew Garfield. The idea that more Spider-Man characters would be getting movies not related to the Marvel Cinematic Universe could make things a little muddy. 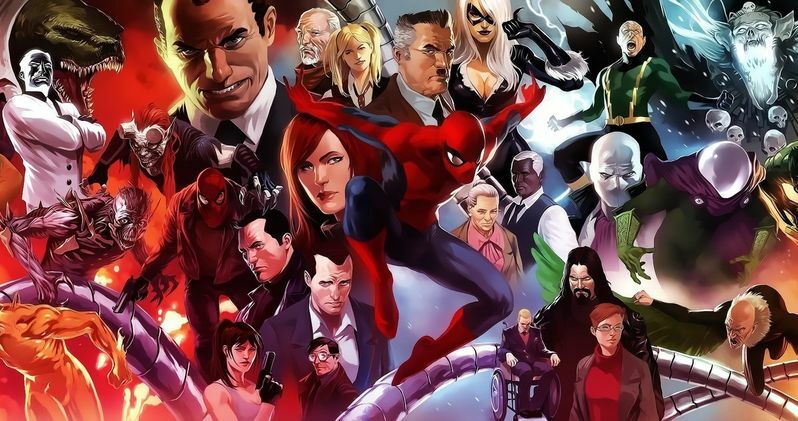 The details of Marvel's deal with Sony were never made public, so we don't know exactly what Sony can and can't do, but it is very clear they reserved the right to work on some other Spider-Man related projects. If Tom Rothman is to be believed, which he probably should be, we will know more about those projects sooner rather than later.